In 2017 peaksGO approached Autism East Midlands with an idea to run an event which would help to raise awareness for Autism whilst helping to educate and support people who need it. The event would also allow people with Autism to have fun in an environment where they can truly be themselves. With the support of Lea Green outdoors activity centre and many local sponsors, our aim is to educate families, giving guidance, support and advice to all who need it, whilst providing a fun environment for everyone to enjoy themselves throughout the day. One of the founders of peaksGO has two young sons, both of whom have been diagnosed with Autism. By setting up peaksGO he wanted to achieve two things, build something fun and successful that he could pass onto his children and use it as a springboard to spread the word about Autism and its many wonderful traits. 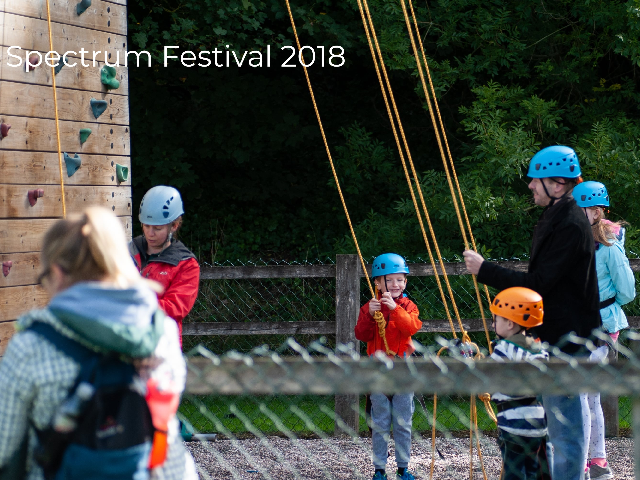 After an incredibly successful first Spectrum Festival in September 2018, two full weekends have been planned for 2019. To find out more about this event please visit their website.